San Diego, California (for release September 23, 2005)—nPower Software, a division of IntegrityWare, Inc, announced its new web site today. 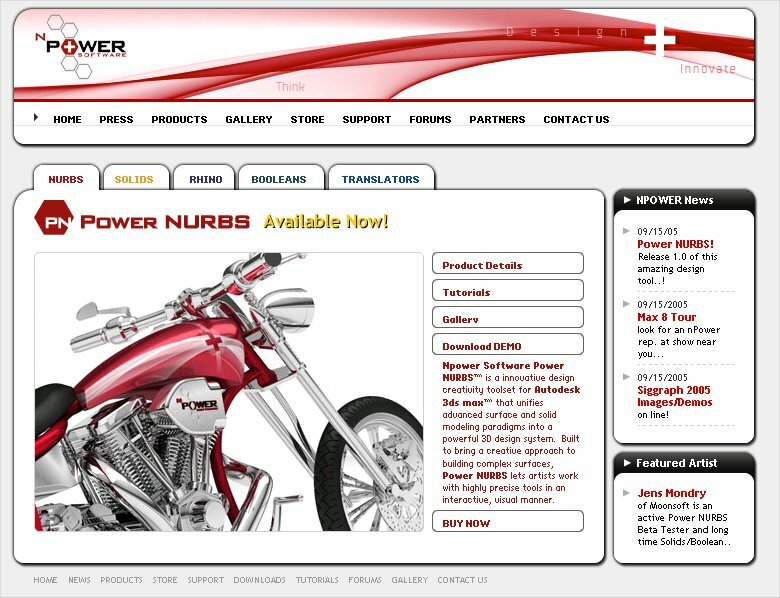 In order to promote its revolutionary new Power NURBS product, nPower Software has upgraded its web page (see image below) and company logo. The nPower Software web site has a new look and feel, and is better organized to meet the growing demands of its customers. nPower Software customers include engineers, designers, architects, and artists from top companies around the world like Boeing, Microsoft, Disney, SEGA, Blizzard Entertainment, Northrup Grumman, Sony, Mitsubishi, Whirlpool, Blur Studio, Fisher Price, Fox Sports, SolidWorks, Hewlett Packard and Cannon Equipment. 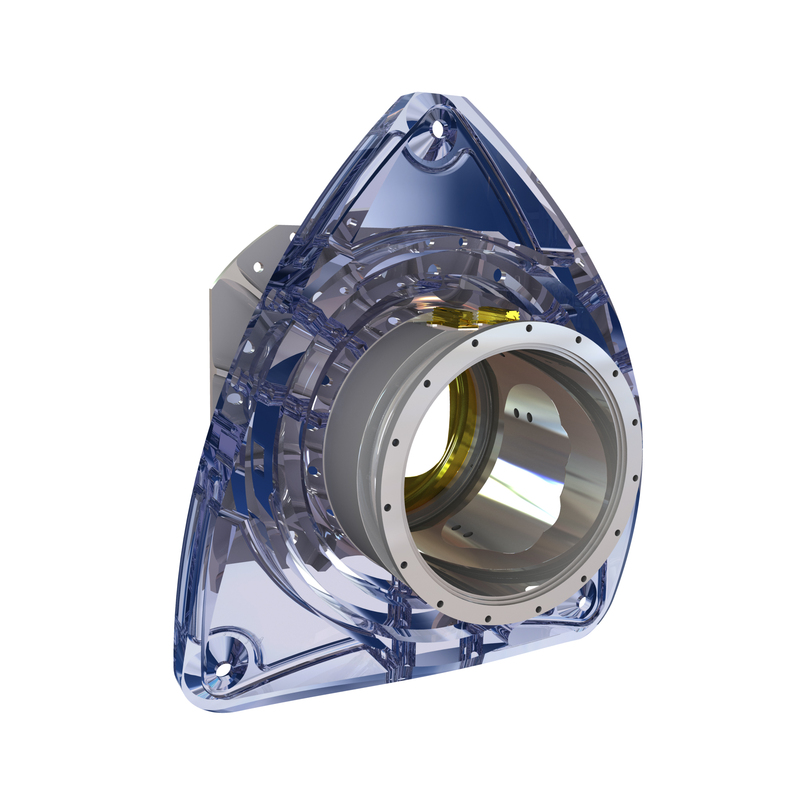 IntegrityWare Inc. is a company that specializes in advanced geometric modeling solutions. Founded in 1996, IntegrityWare has been providing advanced modeling solutions to a growing base of customers building industry-leading solutions. The SOLIDS++ modeling kernel is an Object-Oriented Non-Manifold Modeling kernel that provides a comprehensive suite of geometry and topology tools for Solids Modeling, Surface Modeling, Curve Modeling, Polygonal Modeling and Non-Manifold Modeling. SOLIDS++ has been in development for more than 9 years, with research and development of the most advanced modeling solutions. The SOLIDS++ kernel is currently licensed to developers needing to provide the most advanced surfacing functionality to their customers – such as Nemetschek, CoShape, Bentley Systems, and Ford Motor Company. Snapshot of the new nPower Software web site.